As a growing program in the state, Texas Swim Academy has so much to be thankful for. This year, our indoor swim facility is gaining in both clients and notoriety on a daily basis. With more people making the Academy a part of their routine, lives are being saved. Your child is only as safe as their skills within the water allow them to be, and this program is humbled that you made the selection to allow the world class instructors to provide them with that knowledge. As this program continues to flourish, its impact will continue to be felt through the lives that have been forever changed due to its existence. The Texas Swim Academy has an optimistic outlook of the future that is beyond half-full. Here are some of the many happenings that this academy has to be thankful for. The owners of the facility began this journey with the dream of one day having their very own water safety academy. They soon set out to nourish that dream, and the program was born. Those humble beginnings might not have seen extravagant facilities, but they did see magnificent things happen in the lives that were touched by providing lessons in the backyard pool. The program has now grown into a professional academy with state of the art facilities. The founders of the Texas Swim Academy love the community and the state of Texas as a whole. Since this facility did spring from humble beginnings, the owners know firsthand just how important community sponsorships really are. For this reason, the Texas Swim Academy makes it a mission to provide sponsorship to as many local up-and-coming programs, as well as others across the state. One of the most obvious ways in which the club is growing is the notoriety that is brought by many of the programs. They are more popular than ever as children become more eager to learn the essential skill of swimming. Without adequate participation, the programs that many have come to love and look forward to throughout the week would no longer exist. Our facility would not be what it is today without the involvement of our staff and instructors who, day-in and day-out, ensure facility operations run smoothly, and that every swimmer leaves the facility feeling more comfortable and confident about swimming.We are one big family with a shared passion: to save lives and make a difference in our community. 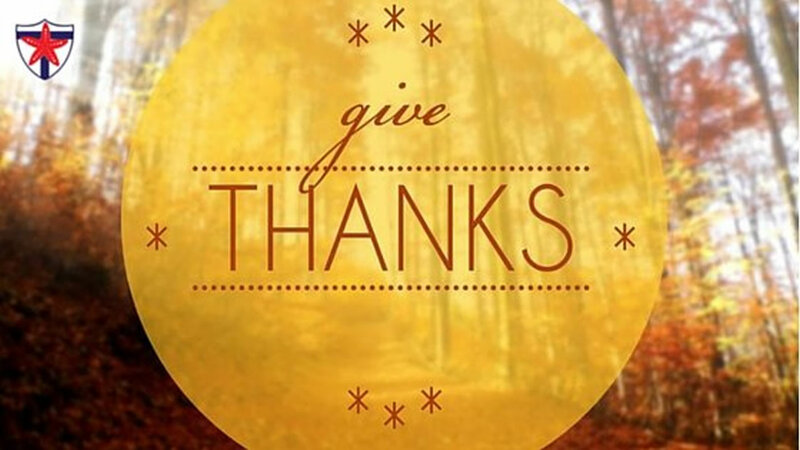 Read what our staff and instructors are most thankful for this year. Perhaps the strongest point of pride for the Texas Swim Academy is the number of lives that have been saved since the operation opened. Of course, there is no way of successfully determine the exact amount of lives that have been saved, but there have been thousands of children who have learned how to swim in an emergency situation. Are you not already taking swimming lessons at the Texas Swim Academy? If not, you should consider them for yourself or your children. Swimming is a great, therapeutic source. If you would like more information, visit our programs page or contact a representative about our swim academy programs with the facility today.